VPN, or Virtual Protocol Network, works by creating a direct encrypted connection from your computer to another network. It is used when logging onto a public WiFi, when you want to access programs or services that are unavailable in your country, or you do not want to disclose your true location while using the internet. VPN will redirect you to a different end-point that will make your iPhone look as if it’s physically present in a different location. Latest iPhones and iPads have excellent VPN support, which is integrated with L2TP/IPSec and Cisco IPSec protocols. These enable you to connect to OpenVPN networks and also to third-party apps providing VPN services. We’ll show you how. Before you make your first VPN connection on your iOS device, you’ll need to make sure you meet a few simple prerequisites. You also have the choice to set up your VPN app manually. This will require that you gather some setup information up front, like the VPN server name, remote ID, username, and password. This information is available either from the system administrator or the VPN service provider. Start by signing in to your VPN account. Next, your iOS device will automatically ask permission to add a VPN configuration to your iPhone or iPad. Tap Allow; this will automatically configure the VPN on your iOS device. After that, you will see a prompt asking you to enter your password or Touch ID, which will give you the permission to change your VPN settings. For activation, enter your password or activate your Touch ID. Once the VPN is enabled, it will remain so until you turn it off yourself. Now you can browse the net anonymously anytime without having to open the app again. 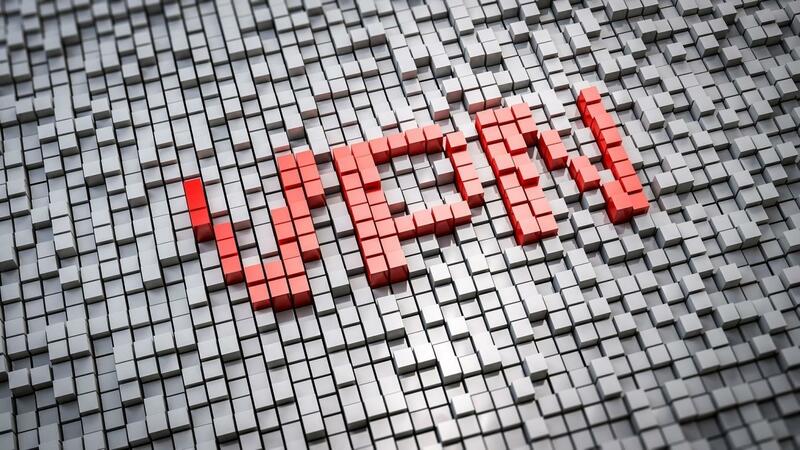 If you have more than one VPN services installed on your device, then select the VPN client that you want to use. Toggle the Status to On. Once you are connected, a VPN icon will appear on top of your screen in the status bar. Remember to switch off your VPN once you have finished using their services, especially if you are on a free limited plan. Just follow the steps above to turn off the VPN option by toggling the VPN button to off. Sometimes the VPN of your choice does not offer an iOS app. Fortunately, you can set up a VPN manually by using the iOS’s built-in settings. All you need are your login information and details about the configuration settings of your VPN. Just follow these simple configuration instructions to set up a VPN manually. From the iPhone’s or iPad’s home screen, you need to launch the settings app. Then, tap on Add VPN configuration. Select one of the following VPN Types: IKEv2, IPSec or L2TP. These are encryption protocols available for iOS. IKEv2 (Internet Key Exchange Version 2) is the most widely used protocol for iOS VPN clients. It’s secure but not as strong as an OpenVPN. Tap on the Add configuration button in the upper left corner to go back to the previous screen. Enter the VPN Settings information, which will include the description, the name of the server and the remote ID. After entering this, you will be required to enter the Authentication Login, which will include your username (or certificate) and your password. Once your account has been authenticated, tap on Done. Under the VPN configurations, you will find the Status button. Toggle it to On. To turn off the VPN, simply go to Settings > VPN and toggle the switch to Off. Whenever you want to use the VPN in the future, just go to the Settings > VPN and toggle the Status to switch On. You do not need to configure the VPN again once it has been configured. Certificates for authentication purposes need to be imported before the VPN service is set up. These certificates can be imported from a website on the Safari browser, or they can be sent via email and accessed in the Mail app by tapping on the attachments and importing them. iOS devices support certificate files in PKCS#1 (.cer, .crt, .der) and PKCS#12 (.p12, .pfx) formats. If you choose these certificates for authentication, then your VPN provider should give them to you and include them in the instructions on setting up the VPN. If you want to remove these certificates that you have installed, then you will find them in Settings > General > Profiles. Apple has not added OpenVPN support to its iOS devices, but third-party apps can be used to function as the VPN. This enables the iPhone and iPad to connect to any type of VPN, provided that the third-party app is available in the app store. An official app for iOS is OpenVPN Connect. To configure the VPN server in the OpenVPN Connect app, you will need to import a profile, which is a file with an extension of .ovpn. You can import this file manually by connecting your iPhone or iPad to your computer, then by opening iTunes and selecting your connected device. Then go to the Apps section. From there, you can copy this .ovpn file along with the related certificates needed for authentication and the key files, to the OpenVPN app. After doing this, you can connect to any VPN from your iPhone or iPad. The OpenVPN Connect app is not “just an app” that is used routinely on your device. This app and others like it provide you with a VPN connection at the device’s system level, thus, enabling the device to connect through the VPN just like it normally does in iPhones and iPads that come with built-in VPN options in the Settings app. Up to now, we have generally been talking about home users. But this method becomes impractical and tedious where a large number of iOS devices are involved, especially in big organizations. It becomes very difficult and time-consuming to set up each individual iOS device separately and to specify a VPN server to each device. In large organizations, iPhones and iPads are centrally managed, and a VPN server is configured via configuration profiles or a mobile device management server. The configuration profile file which is provided to an organization’s users contains all the VPN settings that are required to set up the service. If this is the case, you just need to download and install this configuration profile. After installation of this file, you will instantly get the required VPN settings, which will automatically configure your iOS devices, and they will be ready for use.